Tokyo may look small and insignificant on a map, but not even a week, much less an entire year, is not enough to explore what the city has to offer. Pocket Tokyo, published by Lonely Planet and written by fellow Japan Times food page contributor, Rebecca Milner, is a detailed guide that helps clueless and cultured shocked visitors find their way out of Narita Airport and into the city. Most of the guide is divided into sections on different neighborhoods in central Tokyo such as Tsukiji and Ginza, Shibuya, and Shinjuku. These sections are lists of the most notable restaurants, shops, and tourist sights in the area, along with a short description under each place name. Although Milner’s descriptions are no more than two or three lines long, she brilliantly conveys in that short space the atmosphere of each sight just as well as, if not better than, any local in Tokyo. The shop names are also written in Japanese, perhaps to help out visitors when they stop to ask for directions. Each place is also shown on a detailed map of the area in each chapter. “The biggest challenge is definitely deciding what makes the cut! I always wind up over researching and having heaps more places that I want to include—especially restaurants,” author Rebecca Milner told The Japan Subculture Research Center in an email. In addition to a list of the best sights in each area, there is also a small box labeled “Understand” in each section of the guide that gives explanations on aspects of Japanese culture on everything from love hotels to religion to the Yasukuni Shrine controversy. There is also helpful advice scattered throughout the book. The best one: toward the back there is a tip on how to save money in this expensive city. Even I, a born and bred Tokyoite found the tip a helpful reminder that I should start putting those money-saving techniques into practice. The best part of the guidebook is the handy Tokyo Metro map in the back, which shows all the station and line names in clearly printed English. The subway system in the city is difficult to navigate even for locals, and there are a variety and combination of routes that can be taken to get to the same destination. There are two big issues with the guide. One is the size and the shape of the book. Previous editions of the Pocket Tokyo books were slimmer and taller to better fit in one’s back pocket. The latest edition by Milner is wider: ideal for slipping in a small purse, but for tourists who are going out to see the sights without any bags, the guide might be a nuisance to carry in one’s hand. Another more serious issue is that there is no information on Western Tokyo. Although Central Tokyo certainly has an abundance of temples, restaurants, museums, and other major tourist attractions, the area outside of the 23 wards shouldn’t be entirely dismissed. For example, Kichijoji deserves some attention, especially because it has been voted the No. 1 place in Japan where people want to live since they started the poll in 2004. The area, known to be a popular hangout for the youthful, artistic crowd, is also home to must-see spots such as Inokashira Park, a zoo and Ghibli Museum next door in Mitaka. There are also other areas beyond Tokyo that visitors who want to avoid well-trodden tourist hotspots may want to see. "I too am a fan of the Chuo Line—neighborhoods like Nakano, Koenji, and Kichijoji. But the Pocket Guide is designed to be a concise look at the city so it focuses on the main, central neighbourhoods," explains Milner. "Though I did manage to squeeze in Shimokitazawa!" 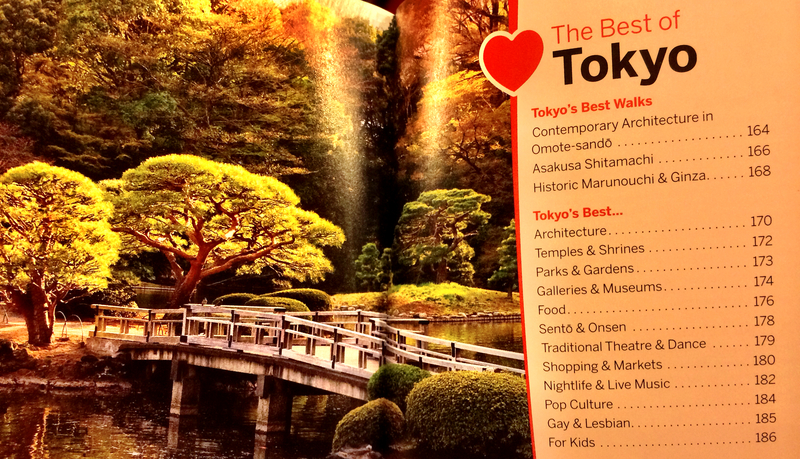 Despite these two shortcomings, you can’t beat Rebecca Milner’s guide to Tokyo. 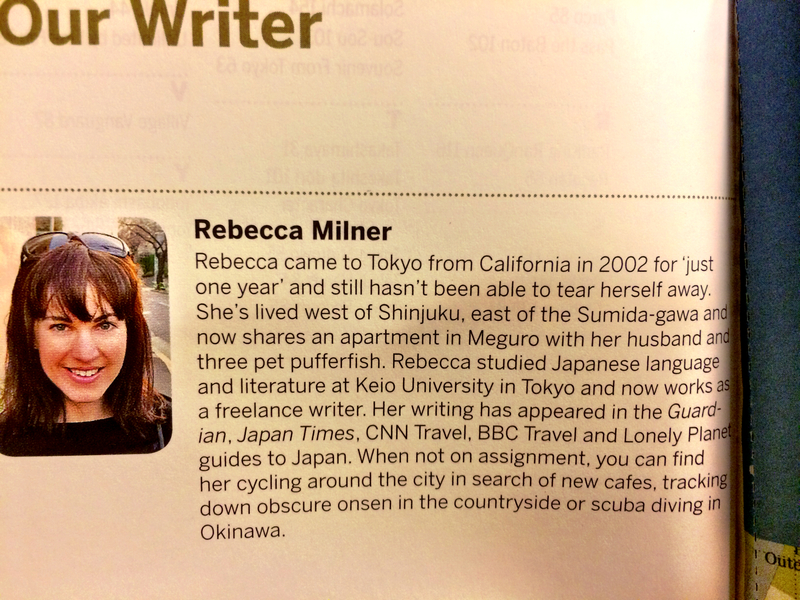 If you want to know more about the areas west of Shinjuku that are less traveled by tourists, check out Lonely Planet’s Tokyo City Guide, which Rebecca Milner co-authored with Tim Hornyak the year before. Her knowledge of the bars and restaurants in the city puts me to shame, since I happen to be a bar writer myself. 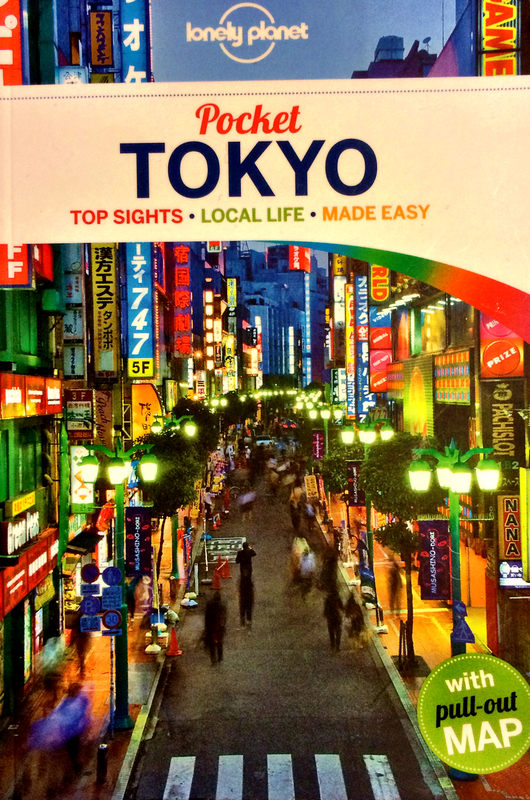 If you read the guide from cover to back you’ll be able to navigate Tokyo just like a local in no time. In fact, you may even get to know amazing places in your own neighborhood. I did.